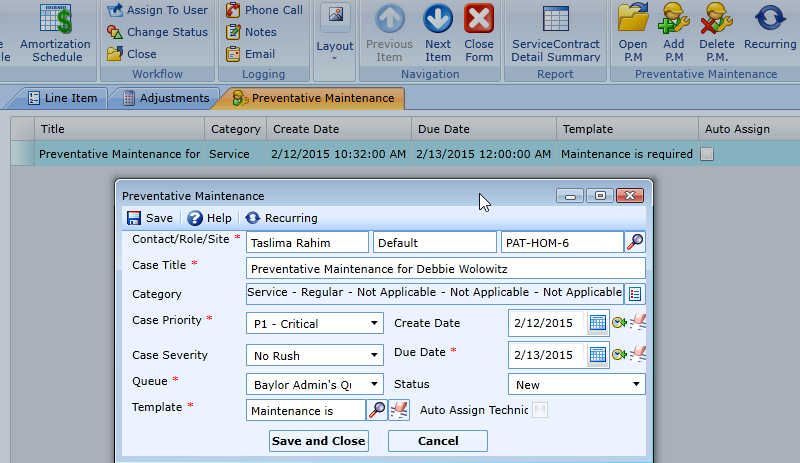 GoServicePro’s preventative maintenance module allows you to define a schedule where technicians are to perform periodic maintenance. When the system detects that a PM event is due it will automatically create a case and work order and can automatically assign a field technician. For more information, visit our blog!